Tingling, weakness and malaise are the symptoms of patients who step into chiropractic clinics the world over on a daily basis. Greetings once again from this the 45th newsletter from Chiropractic Help. I'm delighted to report that we have seen a dramatic surge in traffic in the last months and obviously I'm pleased that our site continues to be of value to you our reading public. We continue to occupy the top rated site at Google and with over half a million hits per month obviously continue to be relevant to your needs. Thank you for your support. Patients don't just consult chiropractors for joint pain and headaches, slipped discs and aching muscles; very often they are also suffering from tingling, muscle weakness and malaise. These may be the symptoms of a pinched nerve, but they are also the signs of a nasty vitamin B1 deficiency. The discovery of thiamine, also known as B1, the first vitamin identified, reads like a hot paced yarn. You may have heard of the very observant detective, Dr Chistiaan Eijkman, who noticed that the chickens of rich Chinese suffered from very similar symptoms to his wealthy beri-beri patients; yes, tingling, weakness and malaise and also strange muscular spasms. The poor seemed to be spared this affliction in the main. Dr Eijkman also noted the hens belonging to the poor were oddly spared from this disease. Putting two and two together, he came up with a very important four; the rich ate refined white rice, whereas the poor could only afford unrefined brown rice. Their chickens enjoyed the left overs and suffered from the same ailments as their masters. His observations led ultimately to the discovery of the first vitamin, thiamine. Why should this be the subject of a chiropractic newsletter? Because tingling in the arms and legs, weakness of muscles and malaise are common symptoms of our patients. Whilst it's unlikely that you would be suffering from a frank thiamine deficiency, if you regular enjoy refined grains, then it's not too far fetched to question whether you may be suffering from some of these symptoms because of a pinched nerve, or rather a dietary deficiency. Add to that, starches stripped of the fat and protein found in the germ, and bran, have a very high glycemic index and none is higher than refined white rice. That means they cause a very rapid rise in blood sugar which the pancreas reacts to by storing it as fat. Show me a person who daily eats white bread, cookies and cakes, white rice and sugary delights, and who just adores coconut chocolate donuts and I'll show you an obese human suffering from high blood pressure, on the verge of type 2 diabetes and walking with a cane; and feeling continually fatigued. All of this impinges on your chiropractor; he or she has to adjust your neck with great care, should you have subluxations in the neck causing headaches, or tingling in your arms and hands. There will be concerns about the numbness in your feet and the arthritis in the weight bearing joints in the legs; feet, knees and hips. Tingling, weakness and malaise are not just in the medical doctor's office; they walk into the chiropractor's consulting rooms daily too. Malaise is another of those signs of a subtle thiamine deficiency; just can't get going and lost your enthusiasm to get stuff done? It's so common today. Frank beri-beri isn't common today because thiamine is found in many other foods like red meat, nuts, seeds and legumes. But if you mainly eat white rice and refined flour, and suffer from tingling, weakness and malaise, then look to your diet before consulting a doctor of any ilk. It's interesting that the tongue can be retrained. But it takes a push to ring in these changes; mostly it comes not from the nagging of your doctor, or a chiropractic letter such as this, but just becoming sick and tired of continually being fatigued and in pain. Train your tongue to enjoy wholewheat bread and brown rice. Buy a small bag of pecan nuts and crack and enjoy them; enjoy roasted sunflower and pumpkin seeds. Start making a lentil savoury dish regularly, and perhaps even your own hummus; they are all rich in vitamin B1. Don't let Dr Eijkman's work, and that of his colleague Dr Gerrit Grijs pass you by; they made a life-changing discovery and we ignore it at our peril. Is it really all too much trouble to crack your own pecan nuts, make savoury rather than sweet tarts and nibble on pumpkin seeds? Alas then you must feel. I had a new patient, mid fifties, recently who was convinced that her hips were worn out. Walking was very painful. On the physical examination there were no signs of advanced hip arthritis, but there were some oddities. 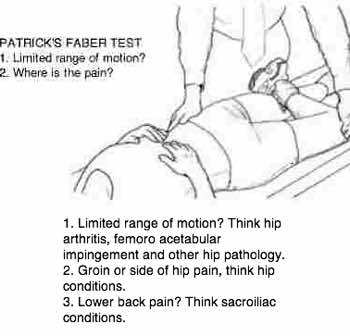 Some ranges of motion were actually increased, but Patrick's Faber test was limited and painful. There was no tingling, weakness or malaise, just pain. X-rays confirmed my suspicions; she has a not very common mixture of hip dysplasia and a femoro acetabular impingment syndrome, and not a sign of arthritis. It's a mild case, mild enough for the radiologist to call it normal, but bad enough to stop her from her love of walking. If you are suffering from hip pain then do a few tests; pull your knee to your chest and then towards the opposite shoulder. Compare it with the opposite hip. Then place your heel on the opposite knee and drop your leg down into the lotus position. Is it painful and stiff in the hip? See your local chiropractor, and don't be too quickly assured by the radiological report that your hip is normal if it is stiff and hurts. This is particularly true if you have a strong family history of hip arthritis. You can find references to all these terms by using the search this site function at Chiropractic Help. 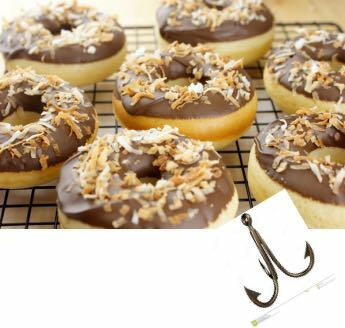 "Do not bite at the bait of pleasure, till you know there is no hook beneath it. The art of life is the art of avoiding pain; and he is the best pilot, who steers clearest of the rocks and shoals with which it is beset." Well said, sir! Let's avoid pain and that means steering clear of those foods that bring on tingling, weakness and malaise.